Kryger Glass has been right at home in Norfolk, NE, serving the glass needs of Madison County residents since 2000. You can find us just to the west of North Fork Elkhorn River. n Norfolk, the cold snaps and heat waves can do more than just leave us wondering what to wear. It can leave our windshields, windows and other auto glass in rough shape. If you have a chipped, cracked or broken windshield or window, it’s not safe to wait to fix it. 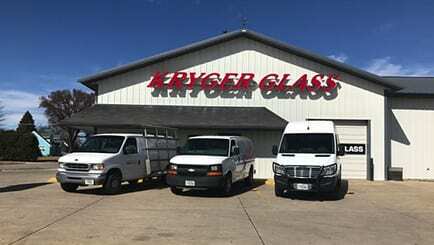 Kryger Glass can come to you to get the job done right, anywhere in a 50-mile radius of our Norfolk location. While we offer every standard auto glass need, we are proud to also lend a hand to the farmers of Nebraska by repairing and replacing their tractor and other farm equipment glass. 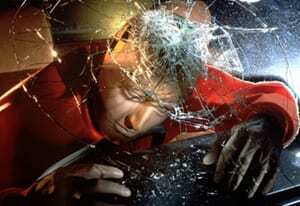 We also help semi-truck drivers who need a new window or windshield. If your glass needs are geared towards your home, we can help with that, too. Our residential services include custom mirrors, tabletop glass and even picture frames. We’ll also get your motor home glass fixed up so you can get back on the road to freedom! No matter your glass needs, Kryger Glass is your go-to expert. Our expert technicians are certified in the proper installation techniques, so you know you’re getting a solid service by folks who know how to do it right. Check out some of our Norfolk team members then get a quote online, now! Robert came to work for Kryger Glass after completing an Automotive class at the local community college. Working on cars is his passion. Robert enjoys the challenge of learning a new skill of cutting flat glass for residential windows or farm and construction equipment. The most exciting part of Tabitha’s job, meeting new people each and every day. Tabitha is not afraid to leave her desk to assist you with any of your auto glass needs. Tony has worked for Kryger Glass twice and has over 25 years of experience in the auto glass industry. He loves working in a fast pace environment and takes pride in making sure our customers are 100% satisfied. Nothing makes Tony happier than when a repeat customer knows him by his name.